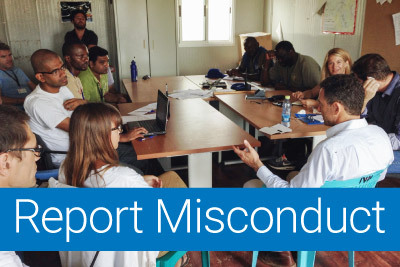 Conduct in UN Field Missions | Professionalism. Efficiency. Integrity. Dignity. 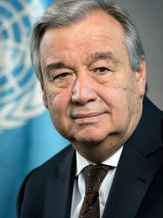 The toolkit aims to assist peace operations to better manage the significant risks associated with sexual exploitation and abuse by UN personnel. The Department of Field Support launched a new online training programme on the prevention of sexual exploitation and abuse in September 2016. United Nations personnel pledge to behave in a professional and disciplined manner at all times. Find out more about our standards of conduct. The Trust Fund in Support of Victims of Sexual Exploitation and Abuse was established in March 2016 to provide greater support to victims of sexual exploitation and abuse. Read more about the Trust Fund. The United Nations Charter requires that all UN personnel must maintain the highest standards of integrity and conduct. The UN is committed to ensuring that all its personnel deployed globally serve with professionalism, courtesy and dignity. Over 100,000 civilian, military and police personnel are currently deployed in the various UN peacekeeping operations and special political missions around the world. 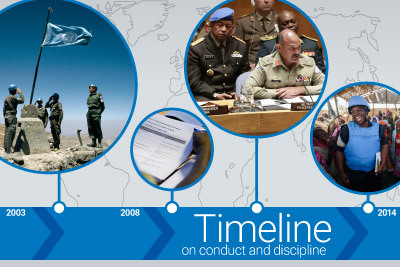 The UN Standards of Conduct apply to all categories of personnel deployed in UN missions. There is a three-pronged strategy to address misconduct: prevention, enforcement of the UN Standards of Conduct, and remedial action. UN personnel in the field are the face of the Organization to the people we are sent to protect and support, and the Organization is fully committed to working together with Member States to ensure that all United Nations personnel, whether civilian, police, or military are accountable for their conduct while in the service of a UN field mission. The United Nations Mission in the Central African Republic (MINUSCA) paid a visit to a high school in Bangui in January to inform students on how the UN works to prevent and respond to sexual exploitation and abuse by its personnel. On 13 December 2017, Brig. Gen. 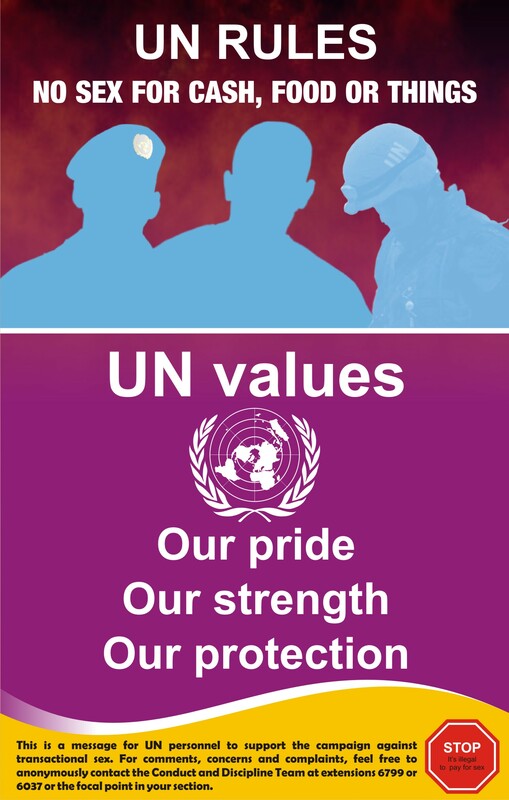 The men and women serving under the blue flag across the world have a duty to uphold the highest standards of integrity, professionalism and respect for the dignity of the human person. As we serve the world's people and work for peace and the advancement of humanity, the United Nations must be a source of inspiration and a beacon of hope for all. Together, let us solemnly pledge that we will not tolerate anyone committing or condoning a crime, and in particular, crimes of sexual exploitation and abuse. Let us make zero tolerance a reality.